Varsity Wrestling Team. 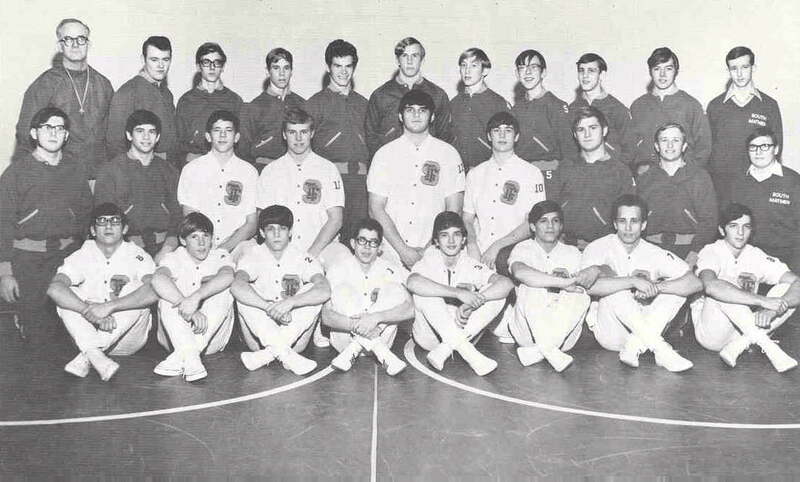 (Row One:) M. Ferrantella, Bill Banet, Jim McGilvery, Dan Hanley, Jeff Whyle, McGilvery, John Wollack, R. Harrison. (Row Two:) D. Krauszowski, Gerald Edwards, James Nelson, Gary Jensen, Michael Rubino, James Carr, R. Jansma, Richard Litwicki, Edward Grubbe, Mgr. (Row Three:) Coach Sowinski, Randall Stooksbury, Dave Szylczewski, Todd Bakker, Steve Dohl, R. Harding, Thomas Jordan, Bob Charleston, B. Cox, C. Harding, J. Pozworski, Mgr. 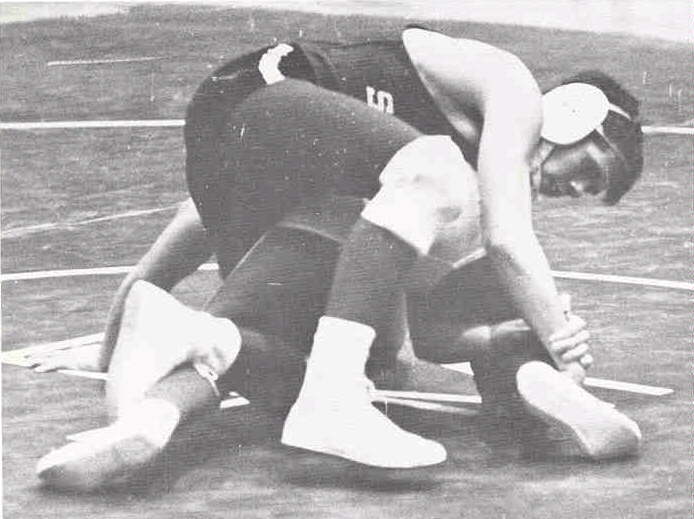 BOTTOM LEFT: Jim Nelson puts the crossbody on his opponent. 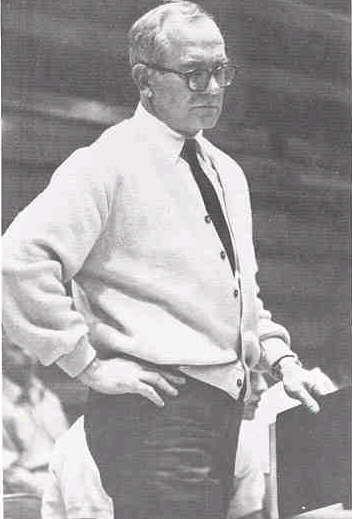 BOTTOM RIGHT: Coach Sowinski ponders the situation during a meet.